Saiga 12K with 6-round clip. I didnt notice that was an airsoft gun how could you tell? yes you are correct! Yup, the shotgun in the Kalashnikov family. @tanker55, the address on the picture gave me somewhat of a clue. Last edited by Pergite; 09 Jul 06, 10:33. Well it's an AK-74 pattern with folding stock. however it could be from one of hte thousands of sub-contrctors around the world. well i think its an ak74 the website is japanese or somethin but correct! you are correct i was seeing if anyone could catch the difference in the ak's. aye, I can. it sort of helped that two days ago I was reading up on the differences, just to kill some time before finnishing work. 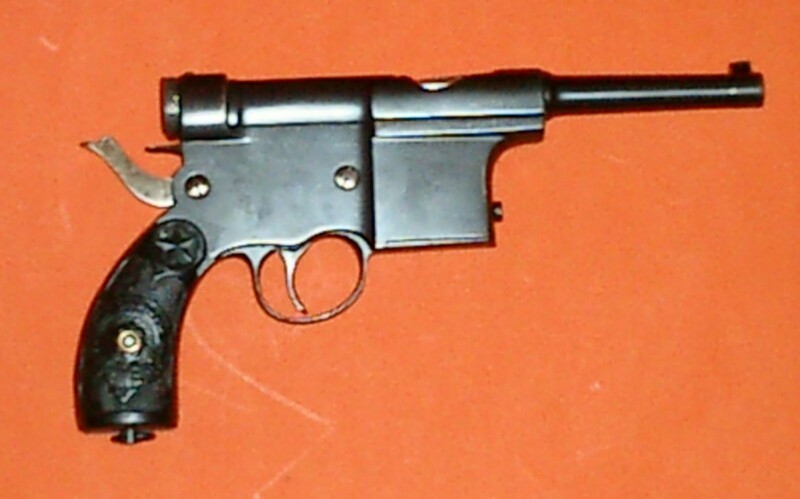 As to the new gun, No idea, but at a guess a Fore runner to the Mauser C9? Last edited by Listy; 16 Jul 06, 02:08.